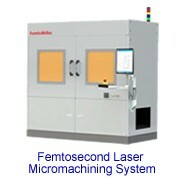 Laser beam profiling plays an important role in such applications as laser welding, laser focusing, and laser free-space communications. In these applications, laser profiling enables to capture the data needed to evaluate the change in the beam width and determine the details of the instantaneous beam shape, allowing manufacturers to evaluate the position of hot spots in the center of the beam and the changes in the beam’s shape. Accurate knowledge of these parameters can strongly affect the laser performance for your application, as they highlight problems in laser beams and what corrections need to be taken to get it right. R – the radius of curvature of the wavefront in the measurement plane. The smart all-in-one compact digital wavefront camera (DWC) beam profiler performs beam propagation analysis in one shot. Thanks to its capability to measure simultaneously intensity and phase data at ultra high resolution, beam shape and intensity distribution can be measured at any distance from its original location without moving parts. All critical parameters for laser beam monitoring such as energy distribution and beam propagation parameters can be measured without need of purchasing additional tools. DWC combined with laser beam measurement software provides comprehensive one-shot measurements of the laser beam: beam propagation parameters such as M², divergence, tilt, energy characteristics in any XY plane. Users can make necessary adjustments in real time by visualizing the beam along the Z propagation axis, graph of waist, 2D/3D intensity profiles can be easily extracted by selecting a Z position with a slider. Propagation parameters are measured by DWC on real beams by focusing the beam with a fixed position lens of known focal length, and then measuring the characteristics of the artificially created beam waist and divergence. Measurement of the beam propagation parameters with DWC is based on the simultaneous measurement of the high-resolution images of intensity and wavefront. The wavefront is computed starting from two slightly defocused beam intensity images acquired on one CCD camera inside DWC by mathematical computations involving the two images and the difference between them (Figure 2). From the wavefront, the beam propagation parameters are obtained by straightforward but tedious computations. Featuring resolution of 250 000 measurement points, high dynamic range (± 1500 λ of wave tilt at 633 nm), and real time wavefront analysis at 25Hz video frame rate, DWC is an ideal tool for laser beam analysis. Multiple views of the reconstructed high resolution wavefront, containing 3D plot, wavefront gradient, fringes display are output in real time. For laser beam measurement, the technique uses Digital Wavefront Sensor to obtain high-resolution intensity and wavefront images of the propagating beam at one location on a 1M pixel CCD array camera. From the one-shot intensity and phase measurements and numeric propagation the laser beam is obtained at >10 positions. The instrument is suitable for measurement of both CW and pulsed lasers down to single-shot rates, and provides quantitative measurement of numerous beam spatial characteristics in accordance with the ISO 13694 standard and M2 parameters according to the ISO 11146 standard. Beam diameters are obtained with accuracy to better than 2% that translates to M2 measurements with accuracy to better than 4%. DWC is a one shot device offering detailed beam propagation analysis in a range up to several Rayleigh distances in the beam propagation direction. Without displacing the device, the beam's energy - related characteristics such as beam celtroid and peak locations, and peak fluences can be precisely and quickly computed by purely numerical procedures, in a desired number of planes around the position of DWC. The quality of the laser beam and the visualization of its hot spots can be monitored with no operator intervention over large distances around the laser beam waist. DWC can be used for precise beam monitoring & beam shaping - both in intensity and in phase - made e.g. by phase spatial light modulators (SLM's), deformable mirrors (DM's) and other beam shaping and beam forming devices. DWC is used e.g. to control of the adjustment of beam shaping modules to generate round and square top hat focal spots, offering ultimate resolution, speed and dynamic range. GUI software XP, Vista and Windows 7 compatible, performs intensity and wavefront acquisition in a remarkably fast and easy way and provides comprehensive tools for beam profiling including intensity distribution and beam propagation parameters. Our CCD is developed to provide excellent sensitivity from the VIS to NIR spectral range. Thanks to its high resolution and its small pixel size, the STCam is a high performance tool for laser beam analysis of continuous wave (CW) and pulsed laser modes. Due to its high dynamic range the STCam captures even higher laser modes with outstanding detail. l Near-Field and Far-Field analyses of lasers, LED devices and other light sources. l Fixed and variable attenuators, etc. Neutral Density Filter: To expand the power range of the STCam several absorptive and metallic-coated neutral density filters are available, which are specified by optical densities ranging from OD 1.0 to OD 4.0. FireWire Component: We offer different FireWire PCI / PCI Express cards for installation direct into the PC. Standard FireWire cables are suitable for industrial applications and are available in various lengths. 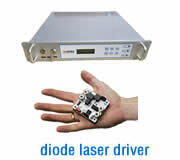 Trigger Device: To synchronize the STCam with pulsed laser systems, our trigger device is perfectly suited. This frequency and delay generator is software controllable and enables the synchronization of up to four beam profilers with different delay times simultaneously. l Without scanning techniques, fluorescent materials or toxic fumes through acrylic mode burns. l Near-Field and Far-Field analyses of lasers. Attenuation Units: The water-cooled attenuation units are based on zinc selenide (ZnSe) and are designed for a 10° / 45° angle of incidence. 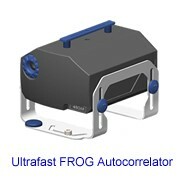 Due to its excellent performance the unit can be used up to laser powers of 3kW and intensities of 5kW/cm2. FireWire Components: We offer different FireWire PCI/PCI Express cards for installation direct into the PC. Standard FireWire cables are suitable for industrial applications and are available in various lengths. Trigger Device: To synchronize the STCL system with pulsed laser systems, our trigger device is perfectly suited. This frequency and delay generator is software controllable and enables the synchronization of up to four beam profilers with different delay times simultaneously. simplify the laser beam analysis. The extraordinary graphical and analytical tool of STRayCi can be used for live data (LiveMode) and stored data (SaveMode) simultaneously, while each mode has its own individual functions. This makes STRayCi the most advanced analysis software on the market. The STBQM10 laser beam profiler is a high precision, CCD based beam profiler for use with lasers with wavelengths between 190 and 1100 nm. Allied with our powerful but intuitive software package, the BQM10 makes quick and accurate characterization of your lasers a reality. The high quality 12-bit CCD array gives excellent resolution. Features include USB2.0 interface means portability and ease of use, RJ45 GPI/O connector for control of synchronization of lighting and 32MB onboard memory for frame buffering. Thus, the STBQM10 can be easily transferred to different laptop or desktop computers. The user interface is simple and intuitive but with many useful features. The BQM-50 is designed to allow complete measurement laser beam propagation characteristics. In this system a liquid lens, which can vary its optical power in response to a changing input voltage, is used to remove the need for the translation stage used in traditional systems to allow beam widths to be sampled through the laser beam caustic. This makes the BQM-50 one of the most compact and capable beam quality systems available. • Range and Astigmatism etc. This system was developed in conjunction with NPL and is protected by an NPL patent. The clear, simple to use software gives total control over the measurement which can be aligned and completed in a few minutes. 150mm L x 50mm Dia. 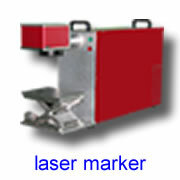 Automated beam propagation analyzer system for laser wavelengths between 400nm and 1100nm. System includes optical unit, CCD camera, cables, software, and user manual. The Laser Beam Profiler provides high resolution real-time monitoring and quantitative characterization of spatial beam intensity distributions. 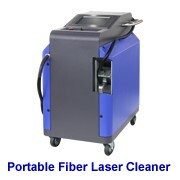 Primarily designed for excimer lasers, it may be utilized for all pulsed or CW lasers as well as for incoherent sources, covering an extremely wide spectral range from NIR to soft X-rays. The UV/EUV sensitivity is achieved by a quantum conversion coating on the CCD chip. A variety of different sensor types (large/small area, highest spatial resolution, sensitivity and dynamic range) are available and can be adapted to specific applications. The software supports also periphery devices like adaptive mirrors, stepper motors, attenuators, shutters or power monitors. Automated or remote-controlled measurements are facilitated by the help of a powerful macro language. Quantitative determination of all relevant laser beam parameters from the acquired profiles is achieved with the help of the comprehensive beam characterization software “MrBeam”, which makes use of standard ISO evaluation procedures. Evaluation of beam parameters: beam width (2nd moment, centroid, ellipticity, uniformity, relative pulse energy, pointing stability etc.